We are buying high school, college and university fee structures. Just go to your school, request the fee structure, take a photo and send it to us. Below are requirements of how to share the fees structures with us and earn the same day. 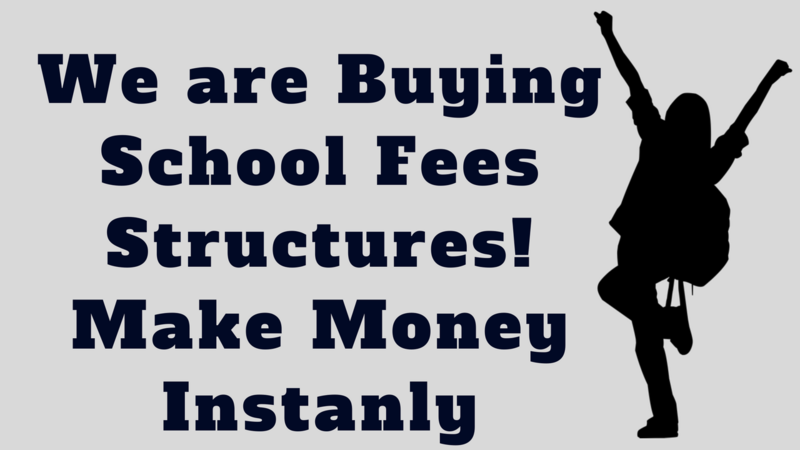 We buy college or university school fees structures for any courses at Ksh. 100. For instance, Bachelor of Arts (Sociology) fee structure showing how much fees is paid each semester from first year to fourth year (or last year of the course). For high school fee structures we pay Ksh. 100 for one school fees from form one to form four. Any Fee structures posted in your university website will not be accepted because we are also in a position to download them from there. Payment is made immediately through mpesa once you send us a minimum of five complete fee structures. That is 5 times 100 which amounts to Ksh. 500. NOTE: As at 4/20/2018 we are not anymore accepting fee structures. Do not miss all our latest updates on selling fee structures.